WELCOME TO CAUGHT DOING SOMETHING GOOD, where KNOM shines the spotlight on youth in Western Alaska. In this show, we interview students from the region and chat about the things they’ve been doing to positively impact their community. In the November 2018 episode, we talk with Kastyn Lie of Nome. Kastyn was the valedictorian of the 2018 Rural Alaska Honors Institute. 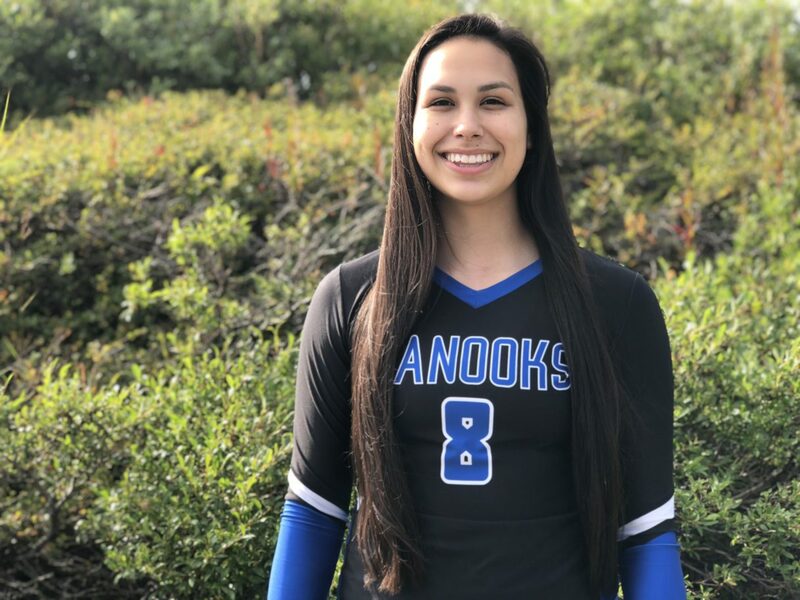 When she isn’t busy studying, she spends her time playing volleyball as the captain of the Nome Nanooks volleyball team and coaching the middle schoolers. Listen to Kastyn and learn her how her passion and drive help bring positivity to the home she loves. Image at top: Kastyn Lie is captain of the Nome Nanooks Volleyball Team. Photo courtesy of Crystal Lie. 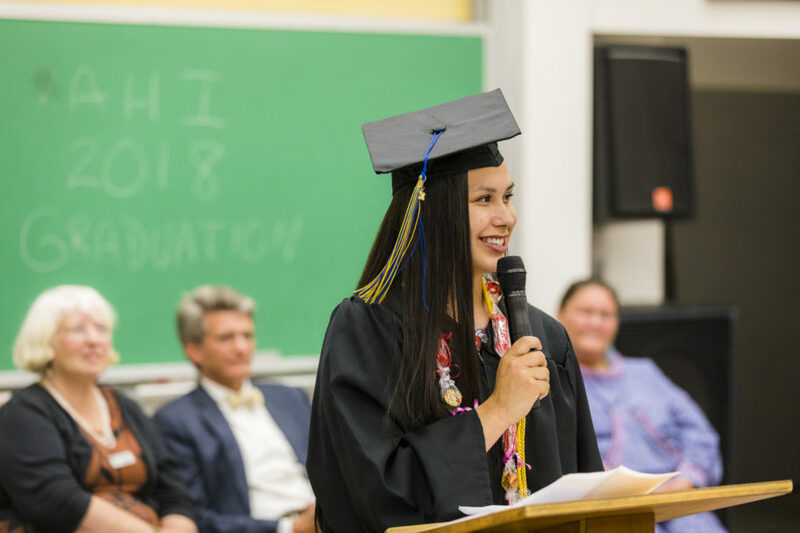 Valedictorian Kastyn Lie from Nome inspires her fellow RAHI graduates to go on to do great things during her graduation speech. Photo: JR Ancheta, University of Alaska–Fairbanks.